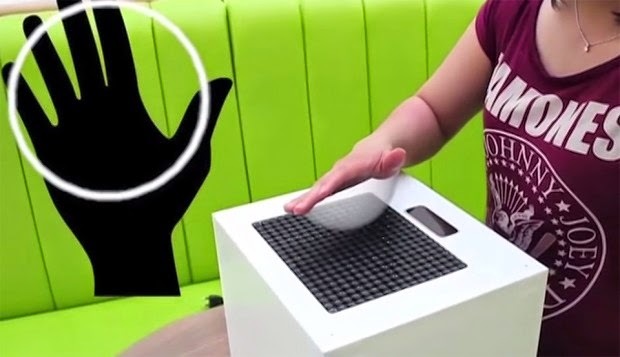 Researchers have created a device that uses ultrasound to create complex patterns that you can feel with your hand in mid-air. The device could be used in future gaming and medical technology. Virtual reality has reached the point where it can easily fool our vision and sense of depth and balance. But if it’s to be truly believable our sense of touch needs to be indulged as well. That’s the goal of the English company Ultrahaptics. The company is working on a device that allows users to “feel” something that’s not actually there. Invented by students at the University of Bristol, Ultrahaptics uses an array of small ultrasound speakers to create “a noticeable pressure difference” on a user’s hands, creating the feeling of touching something that’s not really there. The Ultrahaptics device uses a Leap Motion sensor to track the user’s hands. This makes it possible to create simulations that lets you feel the different parts of an object, i.e. it will know if you’re touching the top, side or bottom of a virtual object and respond accordingly. Technology has changed rapidly over the last few years with touch feedback, known as haptics, being used in entertainment, rehabilitation and even surgical training. New research, using ultrasound, has developed an invisible 3D haptic shape that can be seen and felt. The research paper, published in the current issue of ACM Transactions on Graphics and which will be presented at SIGGRAPH Asia 2014 conference this week, demonstrates how a method has been created to produce 3D shapes that can be felt in mid-air. The research, led by Ben Long and col leagues Professor Sriram Subramanian, Sue Ann Seah and Tom Carter from the University of Bristol's Department of Computer Science, could change the way 3D shapes are used. The new technology could enable surgeons to explore a CT scan by enabling them to feel a disease, such as a tumour, using haptic feedback. 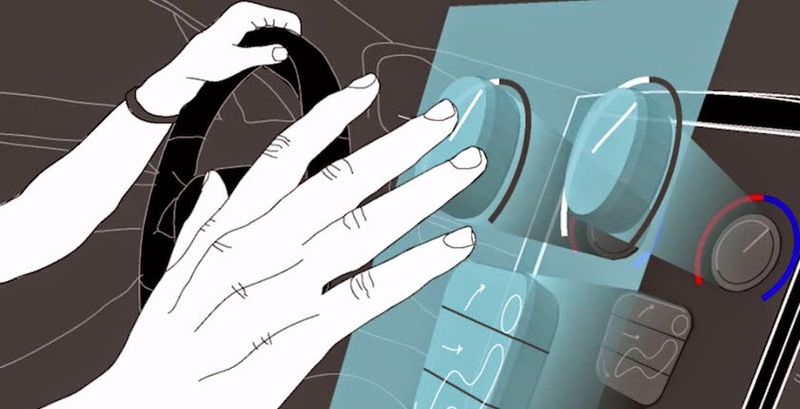 The method uses ultrasound, which is focused onto hands above the device and that can be felt. By focusing complex patterns of ultrasound, the air disturbances can be seen as floating 3D shapes. Visually, the researchers have demonstrated the ultrasound patterns by directing the device at a thin layer of oil so that the depressions in the surface can be seen as spots when lit by a lamp. The system generates an invisible 3D shape that can be added to 3D displays to create something that can be seen and felt. The research team have also shown that users can match a picture of a 3D shape to the shape created by the system.